Turn Off Your Engines Outside Bushey Meads School! Evan 8 Maple – Evan has had an excellent year so far! His most recent school report shows he is making excellent progress, has excellent ATL scores, excellent attendance and over 200 achievement points and no consequence points! Now that is a brilliant achievement! All of Evan’s efforts were celebrated at Year 8 Consultation Evening, where he received excellent feedback! Well done, we are all very proud of you! 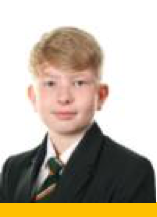 Jake 10 Sycamore – Jake is a hardworking student who always does his best. He has had an excellent year with over 220 achievement points, brilliant attendance and ATL scores. Jake is always focused in all his lessons making sure he is getting the most out of them. Well done Jake we are all proud of you. Keep it up! 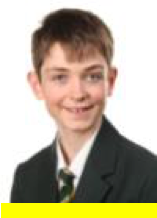 David 12 Sycamore – David is currently working on his Extended Project Qualification which is focussed on basketball. 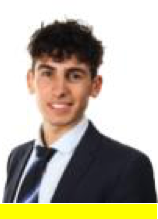 David who is a keen player of basketball has performed excellently for the school team this year; and now taken that passion into completing an EPQ, questioning the current rules and whether basketball can be made even more exciting!